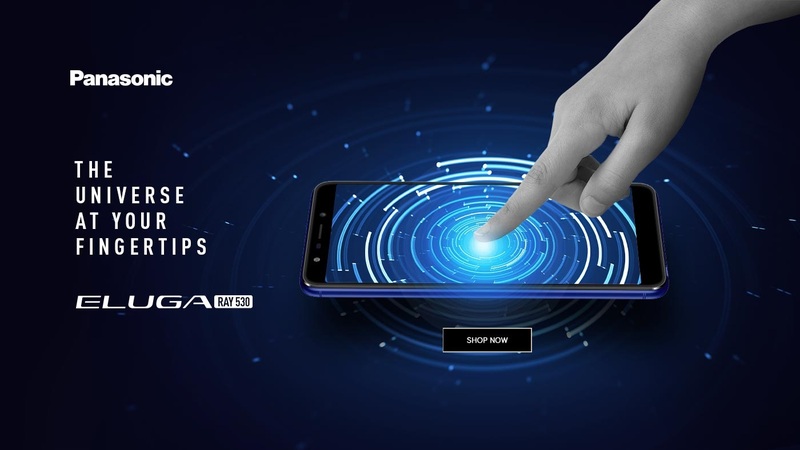 After Eluga Ray 600, Japanese smartphone maker Panasonic today announced the launch of another smartphone under Eluga series. Dubbed as Panasonic Eluga Ray 530, the new smartphone is priced at Rs 8,999 and it can be purchased from the various online marketplace. Similar to the Panasonic Eluga Ray 600, the new smartphone Panasonic Eluga Ray 530 features a big view display and runs on Android 8.0 Oreo out of the box. However, it has a slightly small, a 5.7-inch HD+ screen as compared to the previous one. In this device, Panasonic has added the AI assistant called Arbo Hub app. This one super app will allow users to keep their smartphones clutter free as it replaces multiple apps. The smartphone also comes with a multi-function FPS button that can be used to access with just a single touch. Additionally, the company is providing a free subscription of Google play protect which scans all the applications and keeps the phone free from malware. In terms of specifications, Panasonic Eluga Ray 600 is powered by 1.3 GHz Quad-Core Processor. The device is coupled with 3GB of RAM and 32GB of internal storage and is fuelled by 3000mAh battery. To enhance the security options it comes with the fingerprint sensor, and face unlock feature as well. In the camera department, the phone is equipped with 13-megapixel autofocus (AF) rear camera and 5-megapixel front camera with flash. The camera has various modes like the Bokeh effect, Time-lapse, Auto Scene Detection. Connectivity options on the device include a 4G VoLTE, Bluetooth 4.1, micro USB 2.0 port, GPS, GLONASS, dual-SIM and 3.5mm audio jack. Sensors onboard include Accelerometer, Proximity, Ambient Light and Fingerprint. The Panasonic Eluga Ray 530 measures 152.4 x 72.18 x 8.3 mm while it weighs 141 grams. The device is available in two colour variants – Black and Blue.